In 1954, two young neuropsychologists made a mistake in implanting an electrode into a rat’s brain–a mistake that led to a major discovery. One of the two was Peter Milner, a McGill University doctorate student. At the time, he was testing a theory that rats could be motivated by stimulating the reticular formation, a section of the brain stem. His rat subjects would run through a T-maze. Whenever the rat chose one of the two paths to take, a shock would be sent to the reticular formation. It was Milner’s hope that the rats would associate their choice with the supposedly rewarding stimulus, such that they would continue to choose the same path on future runs. 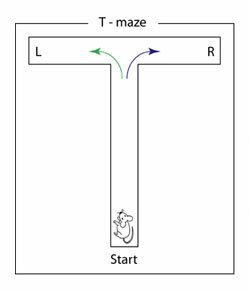 In a T-maze, a rat can choose one of two paths. In any case, Milner didn’t find much success in his experiment. Rather than turn towards the path on which they received the stimulation, the rats unanimously avoided that side. Evidently, the stimulation evoked some negative feeling rather than arousal, as Milner had hoped. It was around that time that Milner was introduced to James Olds, a young social psychologist from Harvard with an interest in studying the brain; he was looking for someone like Milner to help him get started in the field. But Olds’ social psychological background was quite far removed from the physiological psychology of Milner’s lab, and Milner was skeptical that this new recruit could be of much use. Nevertheless, he gave it a try. Olds turned out to be a brilliantly quick learner–within a week of being given a rat-brain atlas and anatomy book, his knowledge of the rat brain trumped even that of Milner himself. Soon, he was given the task of implanting the electrodes into the rats’ brains, following Milner’s directions. This method of implanting the electrode, however, was a delicate procedure requiring steady hands and patience. Although it produced reasonably consistent results, it was a long process without much room for error. 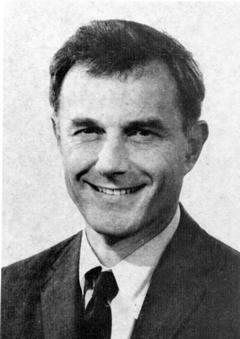 After practicing with a few electrodes, Olds was competent enough to perform the operation independently. But in this independence, he made a few adjustments to the strict procedure–he used heavier gauge wire, and did not wait as long for the electrode’s adhesive to set completely before bending its wires into the desired orientation. These may have seemed like harmless adjustments at the time, but small changes to delicate procedures are not always so innocent. It was with one of Olds’ rats that something very peculiar happened. When stimulated, this rat would immediately step forward, sniffing and searching as it moved. As soon as the stimulus was cut off, it returned to its normal behavior, or sometimes even stepped back. This was in stark contrast to all the previous rats they tested–they could control its movement by giving a short burst of stimulation whenever it turned in a certain direction. At a time when Milner was becoming discouraged at his lack of results, this obedient rat rekindled his hope. 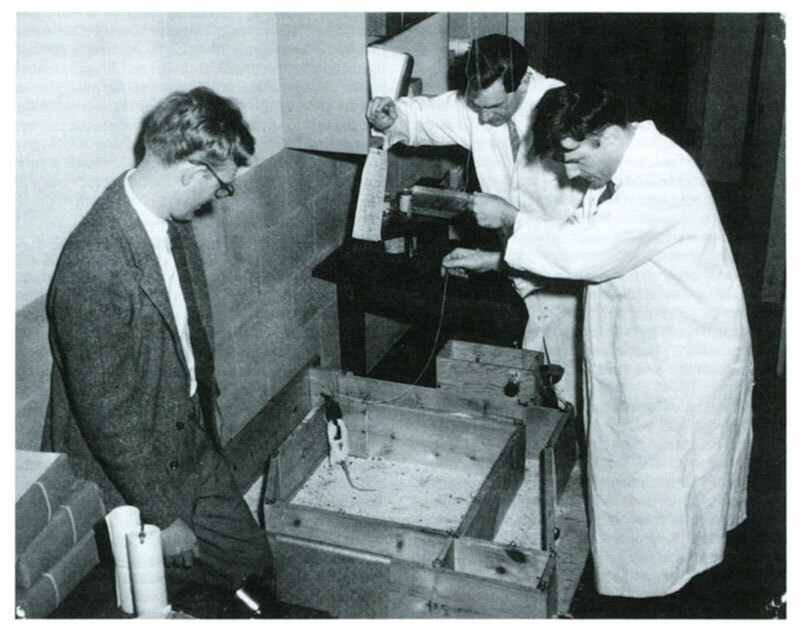 Attempting to discover what made the rat behave this way, Milner and Olds set up a new experiment. Rather than controlling the stimulus themselves, the two scientists devised a method to allow the rat to activate the stimulus on its own. If the rat would administer the stimulus on its own when not under external influence, they would conclude that the rat was deliberately seeking out the brain stimulation; this would imply that the stimulus was intrinsically arousing or rewarding for the rat. And indeed it was. Even when the lever to activate the stimulus was awkwardly positioned such that the rat had trouble manipulating it, the rat was persistent. This was a surprising phenomenon that led to important questions: Was the rat entirely subservient to this stimulus? Could its behavior be completely controlled simply by stimulating a particular area of its brain? After many more failed attempts, Milner started to suspect that perhaps the electrode was not in its intended position; perhaps it was implanted incorrectly or had shifted at some point. But there was no way Olds was willing to sacrifice their only good rat to determine the location of the electrode. 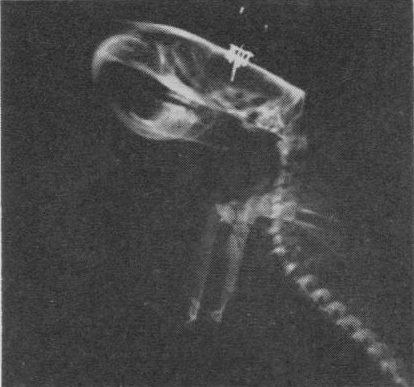 Luckily, there were other means at the time, and one of the other scientists in the lab had the brilliant idea of taking an x-ray. What they found was that the electrode had indeed been displaced several millimetres away from the reticular formation, and was instead in contact with the hypothalamus. It may have been Olds’ usage of higher gauge wire that required more pressure to bend, or maybe it was the way Olds bent the wires before the electrode’s adhesive had time to fully set. Either way, it was clear that the electrode was not where they expected, and its new position in contact with the hypothalamus caused some kind of highly arousing sensation in the rat. For the next few years in further experiments, Olds set out to pinpoint the precise brain areas responsible for inducing this strange sensation in the rats. Although he called these areas “pleasure centers,” we do not know what the rats truly feel when stimulated, or whether their feeling is at all analogous to our concept of “pleasure” (but it is certainly an appealing concept). Taking that into consideration, today’s scientists prefer to speak of “reward centers” rather than “pleasure centers”. He set up an experiment, similar to the earlier one that led to the discovery in the first place, in which rats were able to self-administer a shock to a part of their brain by pushing a lever. Depending on where the electrode was attached, the rats showed a wide range of responses. Olds found some areas (small areas in the mid-brain and adjacent sections of the thalamus and hypothalamus) that when stimulated, produced an avoidance response in the rats. Other areas (such as the posterior and anterior hypothalamus) instead produced the arousing sensation. In some cases, the sensation was evidently very intense–some rats would press the lever as many as 7000 times per hour until collapsing from exhaustion. This drive for self-stimulation was even greater than that of hunger. In a subsequent experiment, Olds found that rats would cross a highly electrified floor to receive the stimulation–a floor that even rats starved for 24 hours would not cross for food. Rats, evidently, can be controlled entirely through electrical signals sent directly to the brain. This makes us wonder: What about humans? Do we humans also have “reward centers” in our brains? Yes, we do. But, perhaps fortunately, stimulation to our reward centers does not necessarily lead to a frenzy similar to the rats. In a highly controversial experiment by Robert Heath in the 1950s, patients with violent tendencies had electrodes implanted in their brains in the hopes that stimulation would calm them down. Patients reported mild euphoric or pleasant feelings in response to the stimulus, but nothing close to the intense sensation that drove the rats to extreme behavior and exhaustion. These experiments were not specifically looking for areas of pleasurable brain stimulation, however, so it may be the case that targeting other areas or combinations of areas would result in a more intense sensation. Either way, even without direct neural stimulation, we may still be susceptible to behavior analogous to that of the rat, continuously pushing a lever for more self-stimulation. Indeed, some scientists believe that addictions (such as alcohol or drug abuse) result from a reward deficiency syndrome, in which a deficiency in the brain’s reward centers results in a constant craving for relief in the form of substance abuse. If it was possible to become free of negative emotions by a riskless implementation of an electrode–without impairing intelligence and the critical mind–I would be the first patient. Even if this never becomes possible, this illustrates the enormous potential that lies in future brain research; there is still much to learn and discover. I just hope that, in our quest to harness the brain–given our pleasure-seeking tendencies–we do not end up like the rat: in a continuous cycle of self-stimulation, addiction, and eventual exhaustion. “A World Without Suffering?” Accessed April 8, 2013. http://ieet.org/index.php/IEET/more/dvorsky20090502. Baumeister, Alan. “The Tulane Electrical Brain Stimulation Program A Historical Case Study in Medical Ethics.” Journal of the History of the Neurosciences 9, no. 3 (2000): 262–278. doi:10.1076/jhin.9.3.262.1787. Blum, Kenneth, John G. Cull, Eric R. Braverman, and David E. Comings. “Reward Deficiency Syndrome.” American Scientist 84, no. 2 (March 1, 1996): 132–145. doi:10.2307/29775633. “James Olds, May 30, 1922—August 21, 1976 | By Richard F. Thompson | Biographical Memoirs.” Accessed April 8, 2013. http://www.nap.edu/readingroom.php?book=biomems&page=jolds.html. Milner, Peter M. “The Discovery of Self-stimulation and Other Stories.” Neuroscience & Biobehavioral Reviews 13, no. 2–3 (Summer 1989): 61–67. doi:10.1016/S0149-7634(89)80013-2. Motivation: Self-Stimulation in Rats, 2010. http://www.youtube.com/watch?v=aNXhyPj-RsM&feature=youtube_gdata_player. Olds, James. “Self-Stimulation of the Brain.” Science 127, no. 3294 (February 14, 1958): 315–324. doi:10.2307/1754983. Olds, James, and Peter Milner. “Positive Reinforcement Produced by Electrical Stimulation of Septal Area and Other Regions of Rat Brain.” J Comp Physiol Psychol 47, no. 6 (1954): 419–427.